Ockwells Meat Company offers private farmers, farm shops and any keepers of livestock the service of having their livestock slaughtered in an approved premises, health-marked and returned back ready for the butchers shop. Our ‘private’ day is on a Tuesday and all carcases can be collected on the Wednesday or delivered to a butcher on our route for 8p/kg on the deadweight of the carcases. This can all be discussed when you call us to book your livestock in. 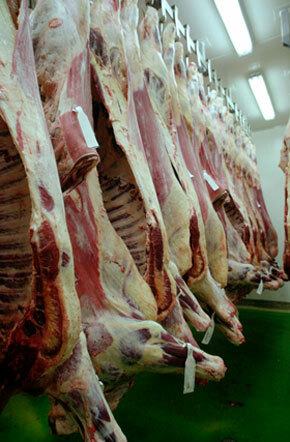 A basic pig/sheep butchery service is also available, please call for details. Cattle over 30 months of age require the vertebral column to be removed. This can be discussed in detail when you call to book the livestock in.